Of all my posts, the question I tweeted a few weeks back about Christianity and the common law has gotten the most views, much to my surprise. Despite the attention, I have no idea whether Christianity is a part of the American legal system’s common law. Justice and mercy, and crime and punishment, the language of contracts and torts can all find correlating vocabulary in the Christian syntax and doctrines. But is Christianity itself a part of the common law? And has it ever been? Apparently, according to some sources, in the early days of the American republic the question of whether or not Christianity was part of the common law was a point of discussion in the legal community. Thomas Jefferson mentions it repeatedly in letters to associates and in his notes as early as the 1760s and on until the 1820s. 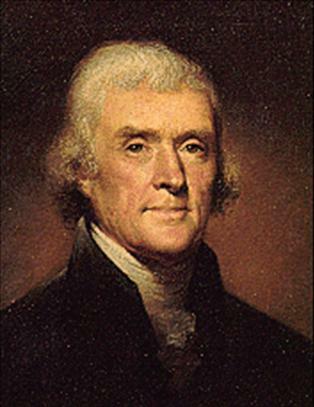 In a celebrated letter to Major John Cartwright, Jefferson argued that Christianity was not part of the common law but had been foisted into the law as an act of judicial legislation (what we now call judicial activism). Incidentally, this is the same letter that gave rise to Jefferson’s famous quote about a “wall of separation” between church and state. The argument against Christianity as a part of the common law was that because the common law was rooted in Anglo-Saxon history to before the advent of Christianity in Britain, it was a late comer to the legal system and had therefore never been a basis for the common law. 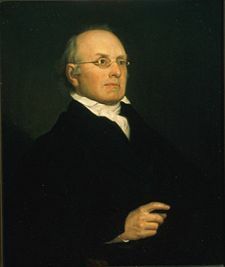 Justice Story, of the US Supreme Court and a devout Unitarian, did not agree with Thomas Jefferson, and in 1833 he rebutted Jefferson’s attack on Christianity in the Cartwright letter. However, his response was regarded as largely weak. For example, he noted that reviling was the root for the English common law doctrine of criminal libel. However, Story’s argument is often seen to have boiled down to a support for legislation that prosecuted for blasphemy, the very thing that Jefferson argued was not prosecutable in his letter to Cartwright. For a look from Jefferson’s work on the topic, check here, here and here. Despite the dissent from Christianity as part of the common law by Jefferson, the discussion and application to Christianity as part of the common law persisted until at least 1927, when it last was cited in a case before the Pennsylvania Supreme Court. Some might suggest that there are those today who see Christianity as part of the common law. The US Supreme Court’s chambers has a large image of Moses on its fascia and on its wall among the great law givers of history. Recently, a decision by the Supreme Court allowed a monument depicting the 10 Commandments to remain in on an Alabama court’s property, ruling it was not an endorsement of Christianity but of the supremacy of the rule of law. James Madison, the bookish and quiet little man we call the Father of the Constitution, was the champion of the Bill of Rights. Of the 19 amendments to the constitution that he proposed, only 10 were passed, but among those the most important to him was the First Amendment with its grant of the freedom to worship according to the dictates of one’s conscience. Despite this, it was 1833 before the last state did away with any established religion under state laws. Today, we take it for granted that religions do not receive any preference from government. But asking the question–is Christianity a part of the common law?–raises the question of whether there are roots of todays legal system in the past, even the distant past. Do you see Christianity in the common law? This entry was posted in First Amendment, SCOTUS, The Common Law and tagged Christianity, Founders, James Madison, Justice Story, Separation of Church and State, Supreme Court, The Common Law, Thomas Jefferson. Bookmark the permalink.